Are rodents eating through your warehouse and your profits? Cockroaches taking over your restaurant kitchen? Contact Kempston Cleaning Services to provide you with quality pest control in Port Elizabeth, Cape Town, Durban, Johannesburg, East London and surrounds. We are committed to ensuring that your premises are pest free. Pest control is essential for schools, offices, factories, warehouses where pest control treatment is needed on a regular basis to comply with municipal legislation. Are you looking for pest control services in Port Elizabeth? Kempston Cleaning has been servicing this coastal town in the Eastern Cape for many years and is a reliable pest control contractor to those in the area. We provide our cleaning and pest control services to shopping malls, hospitals, factories, warehouses, offices, schools and offices. Unwanted Pests & Rodents invading your property? Kempston Cleaning Services are industry leaders in cleaning and hygiene. Kempston Cleaning recognized the need for professional and efficient pest control and added this valuable service to our list of services. Our trained technicians together with products registered with the department of agriculture provide a full pest control service. Trust us to provide you with expert pest control services to keep your premises pest and disease free. Property inspections are done to assess the nature of the pest and how to proceed. We will then provide you with expert pest prevention advice and offer you affordable pest management solutions. Contact us as soon as you suspect a pest problem as the breeding process will only compound the issue. Upon inspection, our qualified technicians will assess which form of treatment to take. We make use of grain bait, liquid bait, spray pumps, gels, powders and fumigation. If you have birds invading your property in Port Elizabeth, we also offer Bird Removal Solutions and products. 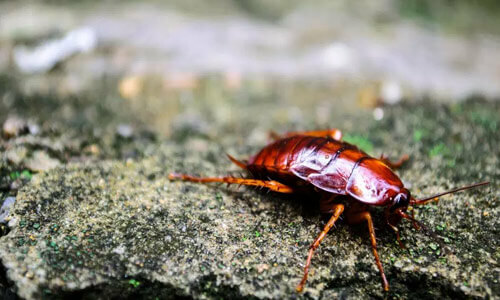 Pest Control Services– we offer a once-off, monthly or quarterly treatment of rodent, flying and crawling insects to make sure the space you and your staff are working in meet the necessary hygiene requirements. We specialise in pest control service agreements with large commercial and industrial properties such as Factories, Warehousing, Malls and Farms, although we are able to offer support for smaller businesses and individuals. Offices: 48 Albert Road, Walmer, Port Elizabeth. We cover the following areas: PE, Despatch, Uitenhage, Bethelsdorp, Motherwell and more. Feel free to click the address above to find us on Google Maps.